What is it? Why is it gaining so much support from congresspeople, environmental organizations, young folks and activists? Can it really address the challenges of “continued economic growth and corporate capitalism” which are inherently toxic to continued life on Earth? Will the GND be a step towards leaving a healthy world for future generations? Let's delve into the below articles, which have a good definition of where things are with the Green New Deal and insights on what it might mean for the well-being of our world. We will also consider adopting and publicizing a Resolution of Support for the Green New Deal? A draft will be posted soon and sent in our newsletter. In our Community Conversations we draw on the experience and wisdom of our group to better understand the critical issues we are facing and discern what actions we would want to take as elders in our society today and we offer moral support for each other as we grapple with the issues and challenges of our times and how to best share and support the activism that we are each engaged in. "A Green New Deal that would fully address the climate/energy crisis would have to be far broader in scope than what is currently being proposed. Ultimately, we will need to mobilize society as a whole with a World War II-level of effort. Again, what’s required is not simply to provide jobs to the un- or underemployed while building large numbers of wind turbines and solar panels; we will all need to live very differently and make some sacrifices." Gives very clear outline of features and political implications and possibility of the Green New Deal actually happening. -Molly A.
Joel Stronberg, Jan 21, 2019 - "The Green New Deal (GND) has clearly struck a chord with climate defenders. The most remarkable things about the GND, at the moment, are the breadth of its vision and how quickly the concept is being embraced by Democrats and environmental groups. It is even being talked about by deniers. It is all the more remarkable for the support it has garnered because it isn’t actually there. The Green New Deal is the title of a story that’s yet to be written. It being a work in progress is both blessing and curse." That Green Growth at the Heart of the Green New Deal? It's Malignant. 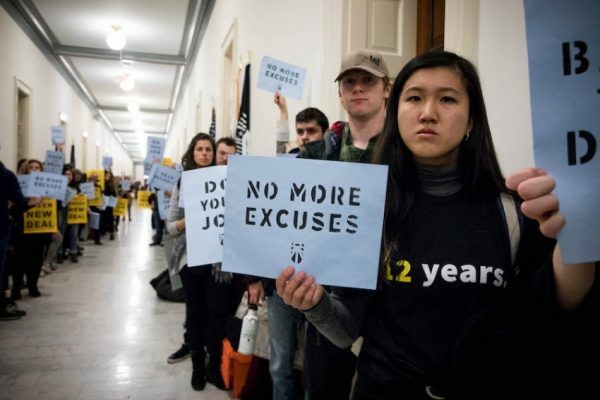 February 13, 2019 - More insightful input on Green New Deal from the Climate Justice Alliance--Green New Deal must be rooted in just transition, workers, communities and those impacted by climate change- from the grassroots. 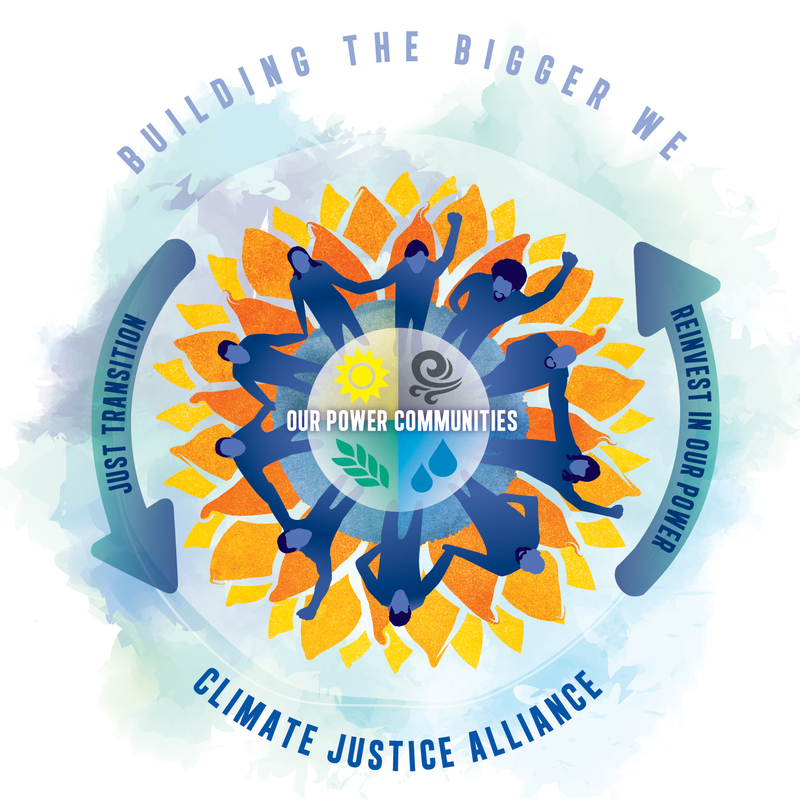 Climate Justice Alliance - We envision a world in which fairness, equity and ecological rootedness are core values. Until we confront capitalism, we will not solve the climate crisis. "The “green new deal” appears to have several meanings. It has been used by mainstream neoliberal politicians to describe an investment program, operated completely through markets, that would shift the economy away from fossil fuels. The left-wing politicians you mention see the “green new deal” as a program of state infrastructure investment, a mobilization of resources on the scale of a war effort."